We're running out of summer here in Spokane, and that means that we have only two concerts left of the nine weeks of our FREE Summer Concert Series. This Thursday evening we have a group that has been a staple in the Spokane Music Scene for years. 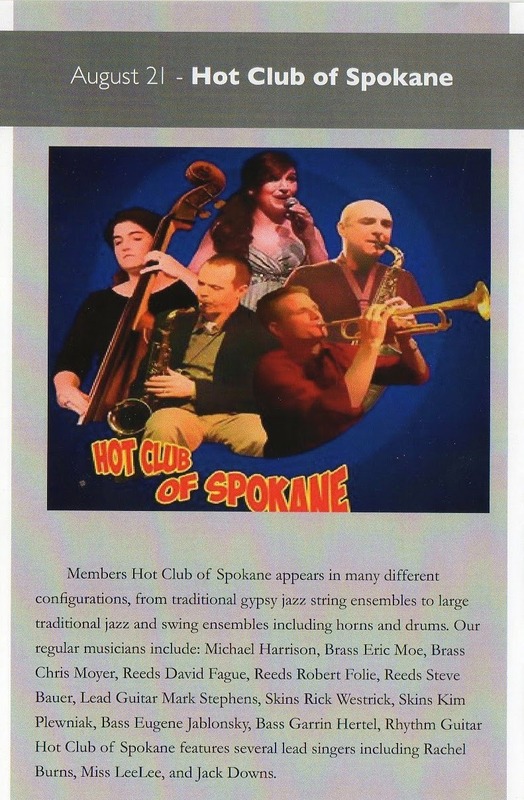 The Hot Club of Spokane will take you back to the days of 30's era Jazz, and swing. If you have never had the chance to catch this gutsy group, put it on your punch list for Thursday evening! They take the stage at 6pm, Thursday, August 21. Bring your swing dance partner, your cousin, or your best friend's girl. And as always, we are Family and Pet friendly.